Earth’s magnetic North Pole has been wildly shifting towards Russia so quickly that scientists have been forced to publish an update on its actual location a year early. The reason is turbulence in Earth’s liquid outer core. 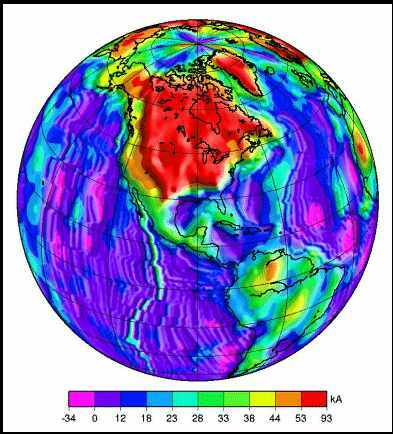 There is a hot liquid ocean of iron and nickel in the planet’s core where the motion generates an electric field, said University of Maryland geophysicist Dr Daniel Lathrop. In general Earth’s magnetic field is getting weaker, leading scientists to say that it will eventually flip, where north and south pole changes polarity, like a bar magnet flipping over. It has happened numerous times in Earth’s past, but not in the last 780,000 years. ‘It’s not a question of if it’s going to reverse, the question is when it’s going to reverse,’ Dr Lathrop said. Dr Lathrop sees a flip coming sooner rather than later because of the weakened magnetic field and an area over the South Atlantic has already reversed beneath Earth’s surface. That could bother some birds that use magnetic fields to navigate. And an overall weakening of the magnetic field isn’t good for people and especially satellites and astronauts. 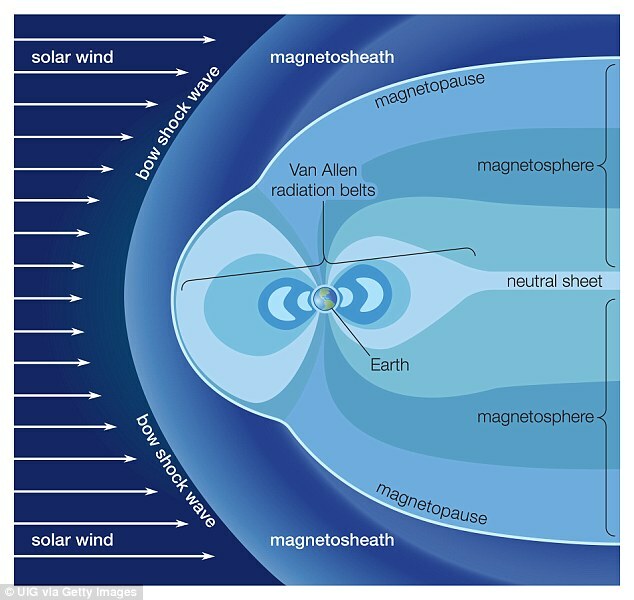 The magnetic field shields Earth from some dangerous radiation, Dr Lathrop said. The Earth’s magnetic field is in a permanent state of change. 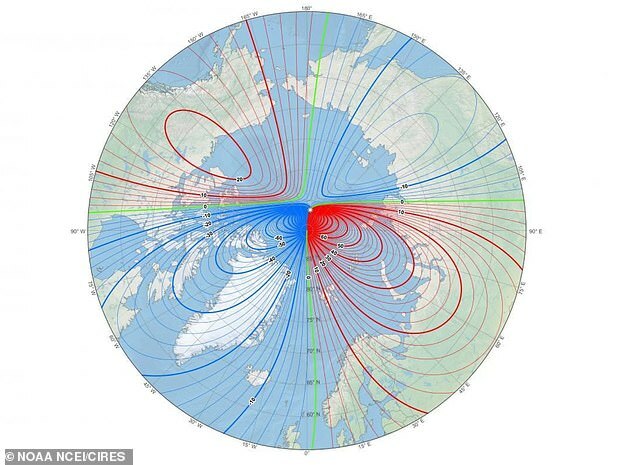 Magnetic north drifts around and every few hundred thousand years the polarity flips so a compass would point south instead of north. The strength of the magnetic field also constantly changes and currently it is showing signs of significant weakening. 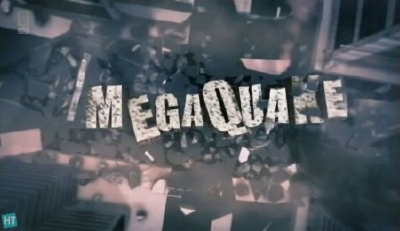 Life has existed on the Earth for billions of years, during which there have been many reversals. There is no obvious correlation between animal extinctions and those reversals. Likewise, reversal patterns do not have any correlation with human development and evolution. It appears that some animals, such as whales and some birds use Earth’s magnetic field for migration and direction finding. Radiation at ground level would increase, however, with some estimates suggesting that overall exposure to cosmic radiation would double causing more deaths from cancer. ‘But only slightly,’ said Professor Richard Holme. 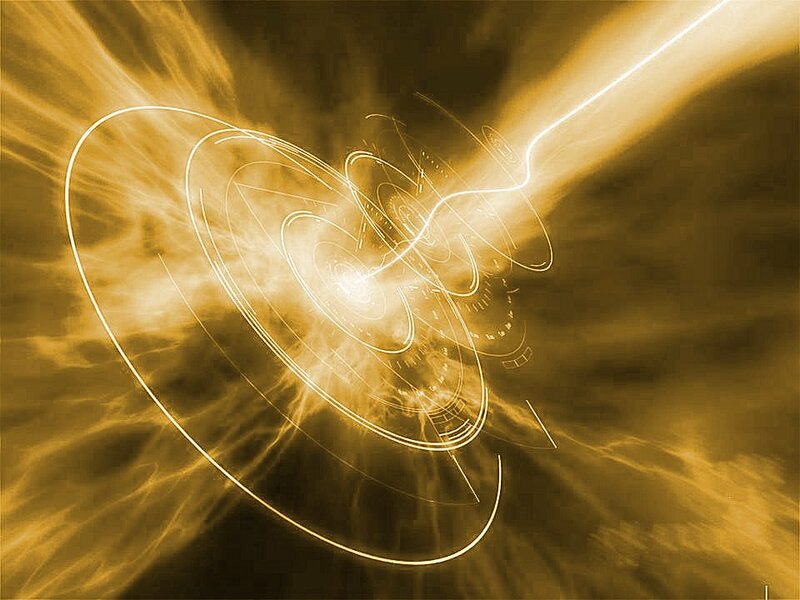 ‘The very highly charged particles can have a deleterious effect on the satellites and astronauts,’ added Dr Mona Kessel, a Magnetosphere discipline scientist at Nasa. In one area, there is evidence that a flip is already occurring. ‘The increasing strength of the South Atlantic anomaly, an area of weak field over Brazil, is already a problem,’ said Professor Richard Holme. They claimed that fluctuations in the number of cosmic rays hitting the atmosphere directly alter the amount of cloud covering the planet. 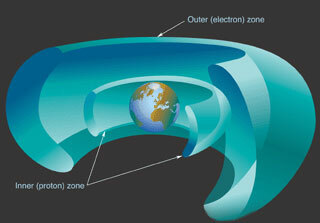 Earth is surrounded by a close-to-spherical magnetic field, the magnetosphere. According to what we know today, it is being generated by dynamo action in the Earth’s interior where conducting liquid metals are kept in motion by the forces of convection (heat exchange), coriolis, and gravitation, and just as the charged windings in the coil of a dynamo generate a magnetic field when moved, these masses create the Earth’s magnetic field. Without it, our compasses wouldn’t work, there would be no northern lights (auroras), and it protects us from space radiation by deflecting high energy particles from deep space or by capturing them in the so-called Van Allen Belts. Of these, discovered by the first US satellite, Explorer 1, in 1958, there are two, one closer, the other farther away, and both surround the Earth like a doughnut. Euronews put out this news in Oct. 2011 — announcing what the “SWARM” satellite array will do — they announced the project for “early 2012″. Word has come to me that the launch will be announced shortly. 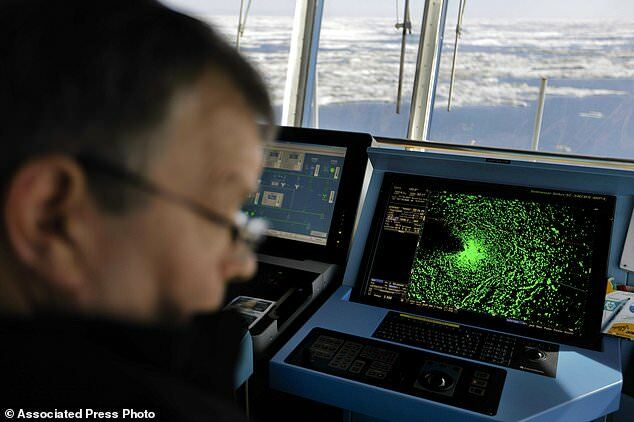 This study will measure the movement of the earths magnetic poles.